Hostel 'La Posada Colonial' is family owned an operated. Our staff was born, raised, and live in Quito. We love Quito and love sharing it with our guests. La Posada Colonial was built in the 1930s by the wealthy Albuja-Punina family to serve as their home. Multiple generation of the family lived in the home over the next 40 years, including numerous children. On October 23, 1973 the home was purchased by the Peralta-Pazmino family a few years after the marriage of Anibal Peralta and Graciela Pazmino. Originally from Machachi, a small town about an hour south of Quito, the Peralta-Pazmino family moved into what is now La Posada Colonial with their young son and daughter. Other family members also lived in the spacious home. Some years later the oldest son of Anibal and Graciela, Fabian Peralta, graduated with a degree in architecture from the Central University of Ecuador. By this time the home was quite large for the Peralta-Pazmino family and Fabian had the idea of converting it into a family business. This process began on December 10, 1991, and with Fabian guiding the entire process, the project was completed over the next few years. The transformation from a colonial style home to a hostel involved the installation of many bathrooms, the construction of walls, and extensive updates to the electrical system and plumbing. Fabian payed careful attention, however, to maintain the character of the home. Since that time La Posada Colonial has been operated by the Peralta-Pazmino family. Fabian worked at La Posada Colonial for a number of years, and his younger sisters taught Spanish at the hostel as well. For the past 20 years, Anibal has been the manager of the hostel, and although now retired, continues to enjoy his time at La Posada Colonial. La Posada Colonial is now run, on a day-to-day basis, by Jaime Jaramillo, son-in-law of Graciela and Anibal. For the past 20 years, our family's objective has been to provide outstanding service, security, and hospitality to tourists from both within Ecuador and beyond. We have served thousands of international tourists. Most guests arrive at the hostel based on personal recommendations. 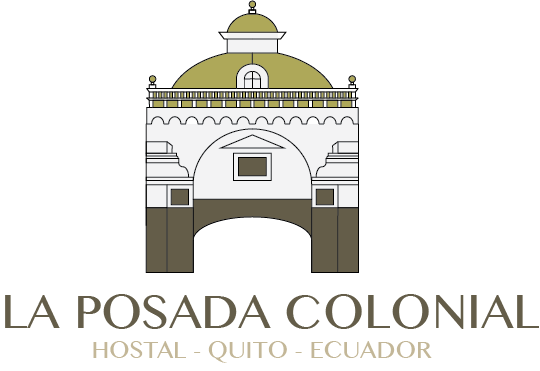 And, many guests return to La Posada Colonial time and again, whenever passing through Quito. We sincerely hope that you, too, can get to know our historic home the next time that you are in Quito.